A trip to Indochina is incomplete without a visit to Cambodia. 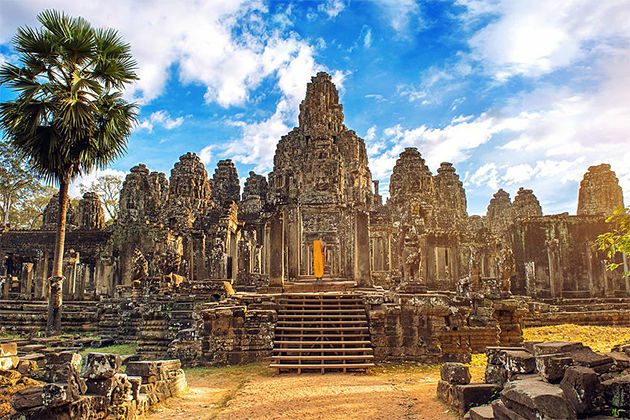 This incredible country is home to some of the world’s best sights and attractions, including the majestic Temples of Angkor which attracts over two million tourists each year. With jungles, beaches, unique wildlife, stunning islands and many more, there is far more to Cambodia than just these historical remains. Here are suggested places for your Cambodia Itinerary 10 Days to help you experience all the best of the country. When is The Best Time to Take 10-Day Trip to Cambodia? Actually, you can take a trip to Cambodia at any time of the year as the country is warm all year round. The dry season is between November and May which itself divides into two distinct phases. The cool season (November – February) is the peak time of tourism – mild enough to discover the temples in comfort but warm enough to sunbathe by the coast. Humidity and temperature rise slightly during the hot season ( March-May), with Phnom Penh and Battambang seeing peak daytime temperatures of 33 – 35°C. 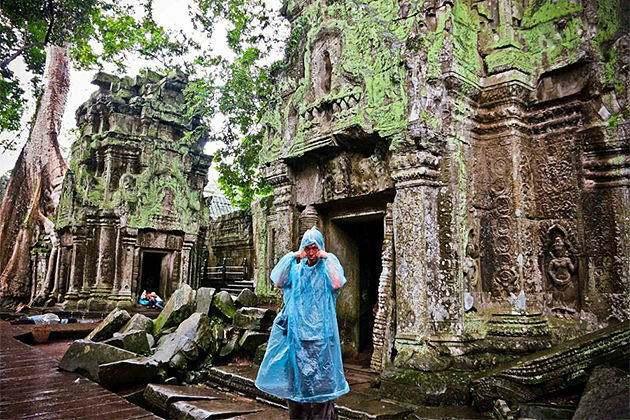 Traveling to Cambodia in the rainy season (June – October) gives tourists practical challenges, but it’s a fascinating time to see the country as it transforms into a waterlogged expanse under the daily monsoon deluges. It rains mainly in the afternoon, mornings are generally dry. Getting around at that time ( particularly in September and October) is quite challenge: dirt roads turn to mud and flooding is commonplace. Thus, it is the quietest time of Cambodia tourism. How to Get Around Cambodia? Motos (moped/scooters) are another hugely popular form of transport in Cambodia. You don’t need a license to ride one either, so for a few dollars per day ( approximately $5 – 8 USD), you can hop on and off you go. It is an ideal way for greater flexibility and control over your day. 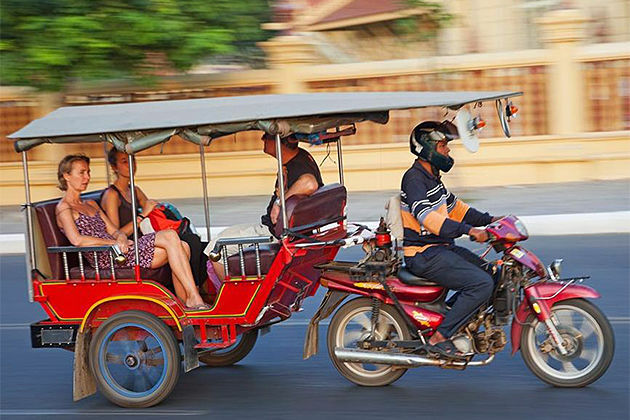 Tourists can easily find tuk-tuks in every corner of Cambodia streets and you will never be short of someone asking you if you want a ride. This is generally the simplest form of transport over a short distance, but prices can quickly stack up if you take tuk-tuks all the times. Drivers are also fond of overcharging you, so you should haggle over the price and not accept their first suggestion. 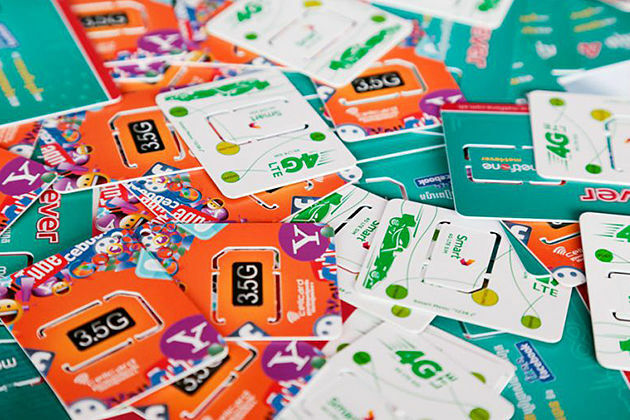 Public buses are also popular and easy ways to get from place to place. You tend to have a tourist option or a local option, of which tourist option tends to pay higher rates for slightly more comfort. 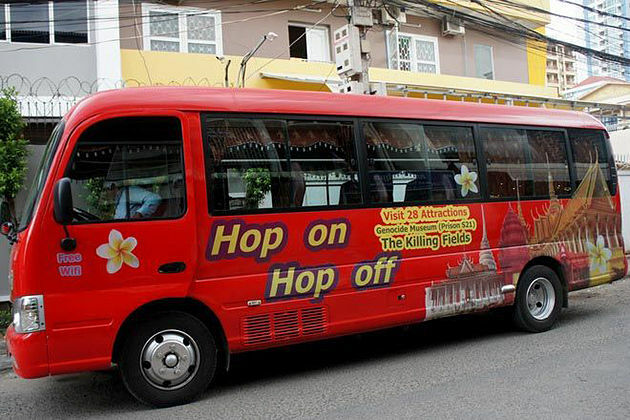 However, the local buses are also amazing, you should try at least once for a real taste of Cambodia! Cycling shouldn’t be forgotten either! The bikes can be in a questionable standard, but it is exceptionally cheap ($1 – 2 USD) to hire them and allows you better flexibility around towns and villages. Where to Stay in Cambodia? Accommodation is available all over Cambodia, so you shouldn’t struggle to find somewhere to stay. 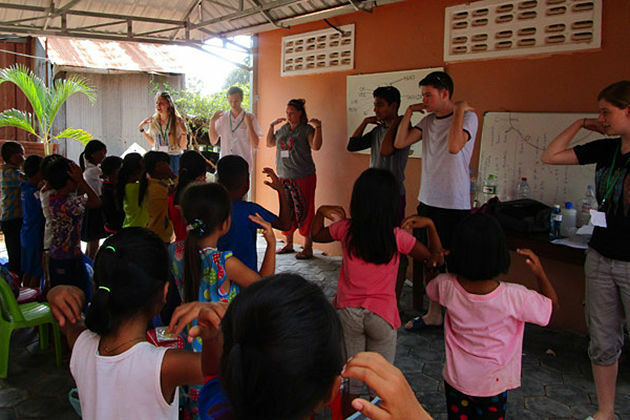 For those who want to have a greater insight into what authentic Cambodian life is really like, you should stay in a local family guest house. Accommodation varies in terms of price which the lowest might be as little as $2 – 3 USD for a dorm bed a night but can go up to $10 – 15 in some places. There will be a wide range of prices depending on the style of accommodation. Your Cambodia itinerary in 10 days should be started in Siem Reap with a visit to the Temples of Angkor, a World Heritage Site, in which literally millions of people flock to visit every year. Dating from the golden years of the Khmer civilization between around AD 800 and 1300, Angkor is a unique repository of incredible craftsmanship on a very large scale. The sense of a mysterious “lost word” is heightened by the jungle setting, historical temples surrounded by writhing roots, lianas and giant forest trees. Iconic masonry and otherworldly nature collie in buildings designed to embody and glorify Kings and Gods. Immense ancient history and architecture are on display everywhere you look; it feels like you are stepped into a lost world. The site is often mistakenly called Angkor Wat, but actually, it refers to just one part of the rambling complex. 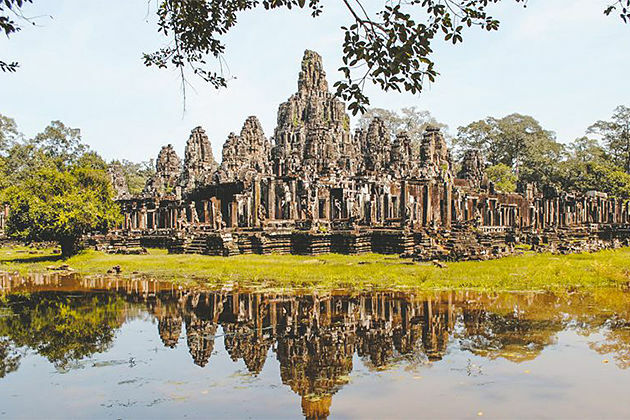 Angkor Thom, to the North of Angkor Wat, encompasses many fine temples and palaces including the Bayon, Ta Phrom, and Preah Khan. At Roluos, to the Southeast of Angkor complex, are the earliest surviving Khmer relics in the entire Angkor area, predating Angkor Wat by around 200 years. You should spend 2 to 3 days in your Cambodia itinerary 10 days to get your fill of this awesome place. 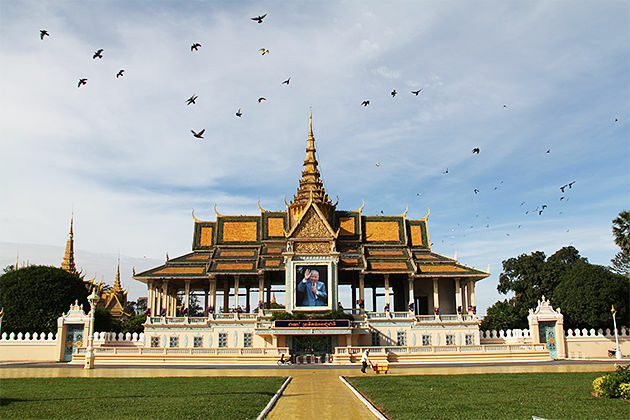 On your next two day of 10–day Cambodia trip, head to the country’s capital, Phnom Penh. 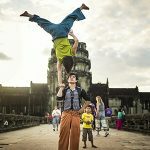 The capital city exudes a sort of charm and tranquillity with French colonial mansions and tree-lined boulevards amidst monumental Angkorian architecture. Considered the gateway to an exotic land, Phnom Penh is home to numerous tourist sites including the Royal Palace, the National Museum, the Silver Pagoda, the Toul Sleng Genocide Museum, Wat Phnom, and the Choeng Ek Killing Fields. Additionally, there are several marketplaces selling carvings, paintings, silk, silver, gems, and even antiques. 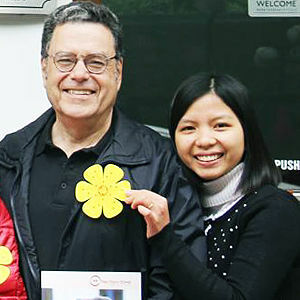 A variety of services are also available in this capital, including five-star hotels and budget guesthouses, fine international dining, sidewalk noodle shops, neighborhood pubs international discos and more. 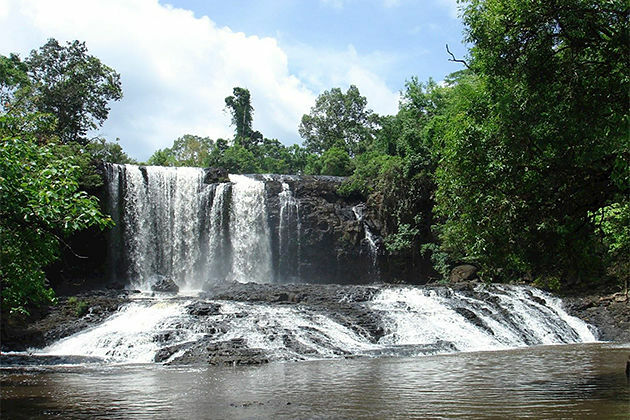 Mondulkiri is an eastern province of Cambodia and the most sparsely populated province in the whole country. Your 10-day Cambodia itinerary continues to ride to the east of the province to visit Sen Monorom — a vast expanse famed for thick forests, thunderous waterfalls, hills that wave up and down towards misty, faraway horizons and a real chance to immerse yourself in nature. Sen Monorom is all about discovering the jungle and wildlife within it, you will have a chance to soak up Sen Monorom Waterfall where you can swim and relax in the midst of rich and beautiful nature. Also, don’t forget to catch the sun go down over endless expanses of thick jungle that stretch to the horizon on Sunset Hill at Phnom Doh Kromom Pagoda. Of great appeal is the weather, which gets downright chilly at night in the colder months of the dry season, and offers a refreshing change from the heat and humidity of Cambodia’s flat lowlands. You should spend 2 days in 10-day Cambodia trip to explore the natural beauty of this land. Your seventh day in Cambodia itinerary will take you to the south of the country and bring you a significant contrast to the east. 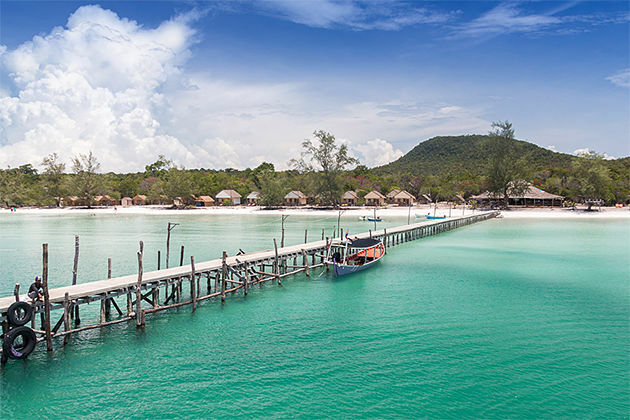 You will arrive Sihanoukville and, slightly further along the coast, Otres Beach where white sands and turquoise waters welcome tourists to this chilled out, picture-perfect part of Cambodia. This is stereotypical beach life, offering bars, restaurants, and cafes lining the sand. Moreover, a visit to the south of Cambodia is incomplete without a trip to one of the islands off the coast. There are a variety of options for you to choose from, each with a unique atmosphere. For resorts, nightlife, beach parties and island paradise all in one, you should take a trip to Koh Rong or Koh Rong Sanloem. If you prefer a more peaceful paradise, head to Koh Ta Kiev which is four kilometers long and about three kilometers at its widest point. The island offers plenty of activities including trekking, archery, and cooking classes while on and in the water apart from swimming there is snorkeling, rod fishing, speargun fishing, and kayaking. Three days is sufficient time for you to explore the best of Sihanoukville with pristine beaches and islands before ending your 10-day itinerary in Cambodia. If you want to find out more suggested itineraries for your 10-day tour in Cambodia, check out our tailor-made Cambodia tour packages that are well designed by our travel experts delivering you best vacations in Cambodia. Don’t hesitate to tell us your ideas via email address: [email protected] or click on Customized tours to create your own trips that suits your need and interest!